What to call this amazing Summer Sangria? Strawberry Sangria? Raspberry Sangria? 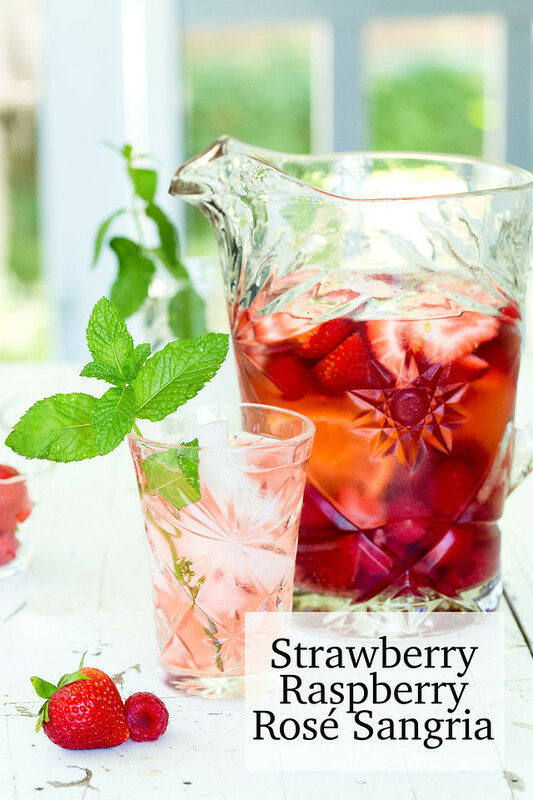 Strawberry Raspberry Sangria? I settled on Rosé Sangria, but whatever you call it, it’s delicious! 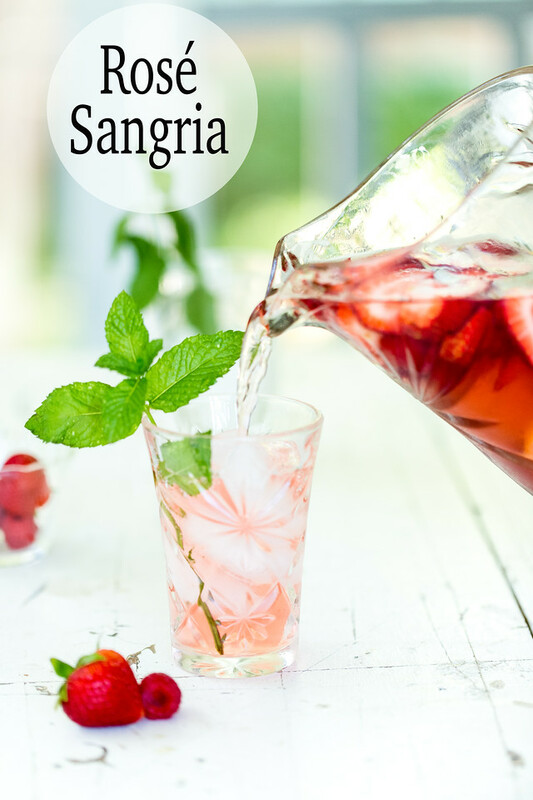 If you are looking for an amazingly easy and delicious cocktail this summer, you must make a summer sangria. It’s so easy. A bottle of wine, some fresh fruit and you are ready to go! Your first decision in making a sangria is choosing your wine. You can choose red, white or rosé. We went with a rosé just because I was feeling the whole pink vibe. I had already bought the strawberries and raspberries and I wanted their pretty red color to show, so either a rosé or a white would have worked. Making a sangria is so easy. You basically coarsely chop some fruit and add it to a pitcher of wine. We were greedy and only let it sit for about 30 minutes before we started drinking it. It developed even more flavor the longer we drank it. When we were finished, we poured a bottle of riesling over the fruit and kept on going! You’ll of course want to serve it in a pretty pitcher. Partying with sangria: Libby Boozy Brunch Set, Shatterproof Pitcher, Beverage Dispenser. More strawberry cocktails that you might like: Strawberry Mojito and The Best Frozen Strawberry Daiquiri. You also have to try this Easy Pretty Pink Cocktail! This Strawberry Raspberry Rosé Sangria will become a summer favorite! Careful, it goes down so easy! Place all ingredients except the mint sprigs in a pitcher. Refrigerate for 30 minutes to 4 hours. Serve over ice, garnished with a mint sprig. This looks so yummy! It also seems like it would be incredibly refreshing, I’m going to have to try this! Looks and sounds delicious! Perfect for a warm Summer might with friends!